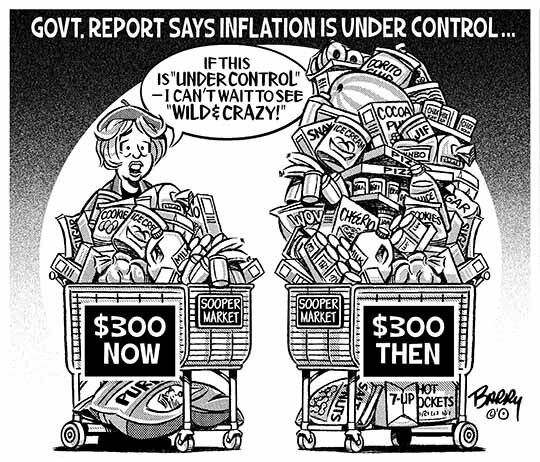 1) “INFLATION” ~ When pondering rising prices, I always think first about groceries — since it’s there where most folks see it happening regularly. For sure, prices don’t have to rise spectacularly to be felt. Often as not, creeping growth can be just as devastating. Maybe sneakily more so? Hence, this toon — a comparative study in groceries that I figure most of your readers will find easy to identify with. 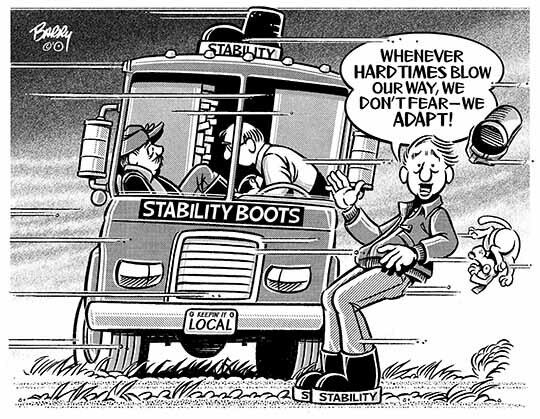 2) "STABILITY BOOTS” ~ This is my silly response to many of life’s unstable scenarios. I mean — how wonderful to imagine that there’s some sort of apparel we can wear that’ll offer us relief from all of our troubles. In this age of mind-blowin’ innovations, it’s hard to believe there isn’t some wacky inventor who has already come up with such! BTW: This toon also offers a nice tie-in with the winds of Autumn. 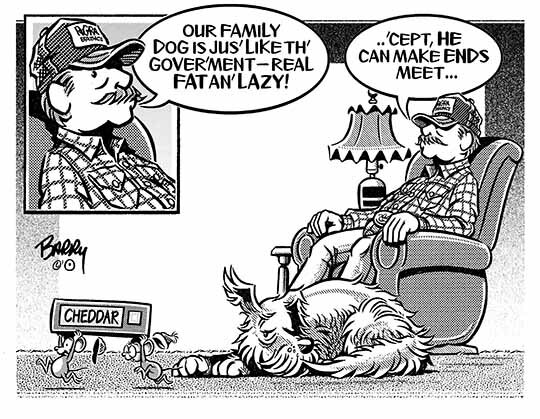 3) MAKE ENDS MEET ~ A look at GOVT. economics — & how most folks fail to understand why, after centuries of bombast, those big shots in Washington still haven’t got it right. Like, is this a forever trend? We can always hope not, eh?? ?